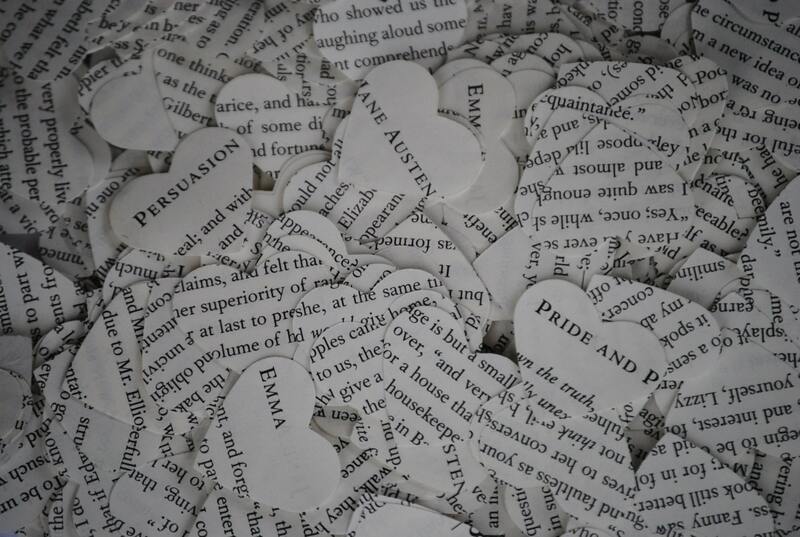 1000 Jane Austen Confetti, Heart-Shaped. Emma, Sense & Sensibility, Pride And Prejudice. Custom Orders Welcome. 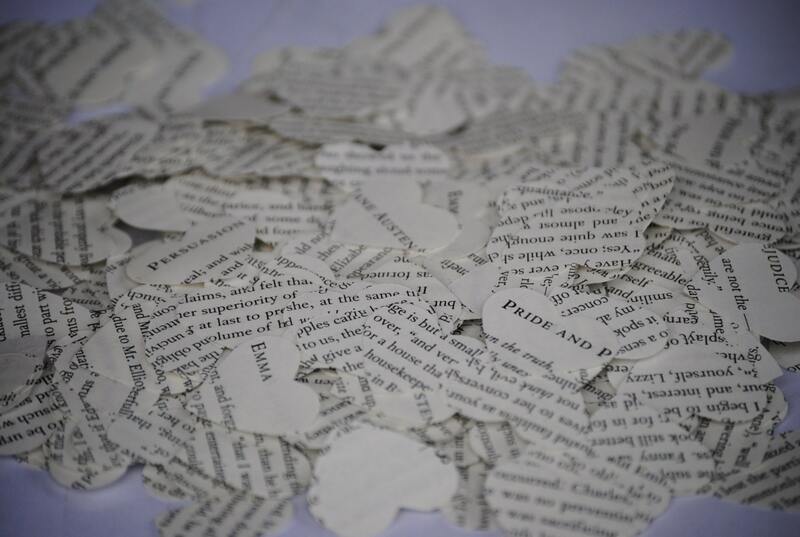 This listing is for 1000 hearts made from a mix of multiple Jane Austen books. I try and use a large combination, like EMMA, PRIDE & PREJUDICE, PERSUASION, MANSFIELD PARK, NORTHANGER ABBEY, AND SENSE & SENSIBILITY. 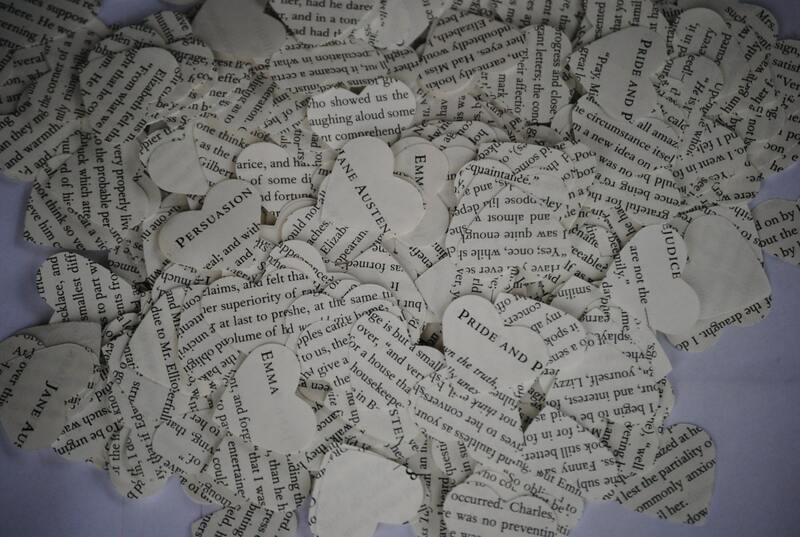 These 1" confetti hearts are the perfect thing for any occassion! Weddings, birthday parties, Valentines day, Holiday events, etc. 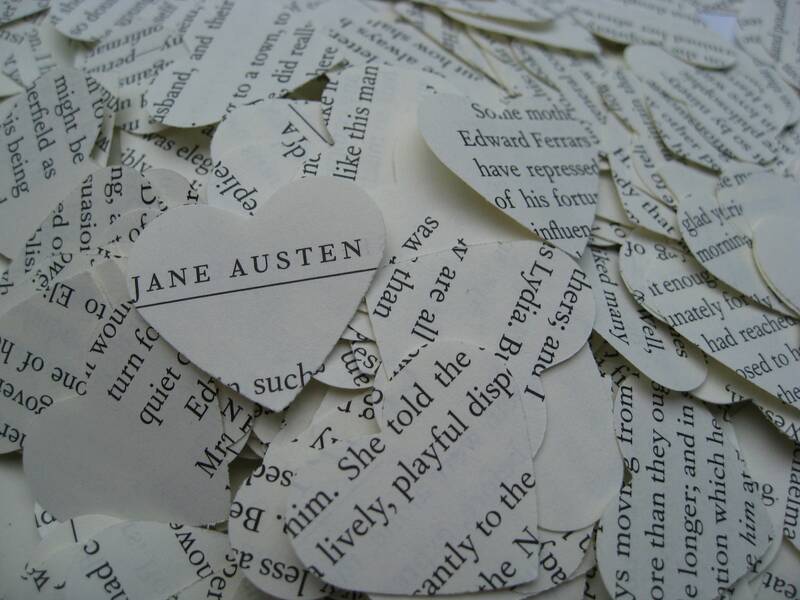 For the lover of Jane Austen, these are a must have! Jane Austen has written some of the most inspiring, wonderfully romantic love-stories in all of literary history! These hearts are perfect for weddings! What better way to celebrate the beginning of a marriage than with these timeless classics! And you guests will LOVE to read through them! If you would like a different amount, just convo me and I would be happy to set you up a special listing!